Social Security Disability (SSD) is a tool that adults and children with disabilities can utilize to assist them financially. While most people associate disability payments with injured working adults, children can also receive benefits if the parents are disabled and receiving SSD benefits, or if their child has a disability. If you are an adult or you have an adult child with a disability that began before the age of 22, you may be eligible for “child” benefits, which are only deemed child benefits because the benefits are paid on the parent’s Social Security earning record. 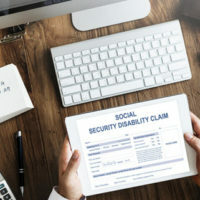 Supplemental Security Income (SSI) is a payment that adults over the age of 65, the blind, or the disabled may qualify for if their income is low and they have limited resources, according to the Social Security Administration. Additionally, children under the age of 18 can qualify for SSI benefits if they have a physical or mental disability or a combination of disabilities. Their condition must meet the Social Security Administration’s list of qualifying disabilities. While the 2017 federal maximum payment per month is $735 for SSI, New York supplements this, varying based on the living arrangement of the recipient, according to the Office of Temporary and Disability Assistance. In order to be eligible for SSI benefits, your child must have a disability that qualifies and they must meet the following conditions. The condition must last for at least 12 months or be expected to result in death. If the child is living with others, usually family members, the resources of those individuals will also be taken into account. Additionally, if your child is away at school but comes home “from time to time,” they will also be considered to be part of your household and your resources will be used to determine whether or not they qualify for benefits. Have passed away but worked enough to qualify for Social Security. At the Law Office of Michael Lawrence Varon, we understand that disability payments are a crucial benefit to our clients. Our attorneys do everything in their power to ensure your success in acquiring these benefits for your child or children. Contact our White Plains office today.